Is B2Gold Corp (BTG) A Good Stock To Buy? Is B2Gold Corp (NYSEMKT:BTG) a healthy stock for your portfolio? Money managers are altogether in a bullish mood. The number of long hedge fund investments moved up by 1 recently. BTGwas in 12 hedge funds’ portfolios at the end of the third quarter of 2016. 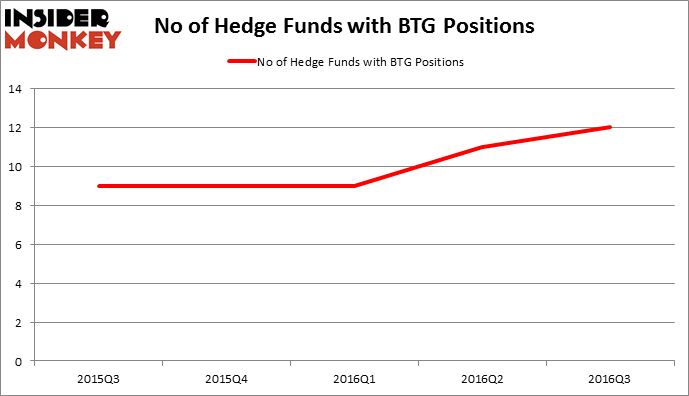 There were 11 hedge funds in our database with BTG positions at the end of the previous quarter. At the end of this article we will also compare BTG to other stocks including CoreSite Realty Corp (NYSE:COR), NorthStar Asset Management Group Inc (NYSE:NSAM), and Lumentum Holdings Inc (NASDAQ:LITE) to get a better sense of its popularity. With all of this in mind, let’s take a gander at the latest action surrounding B2Gold Corp (NYSEMKT:BTG). 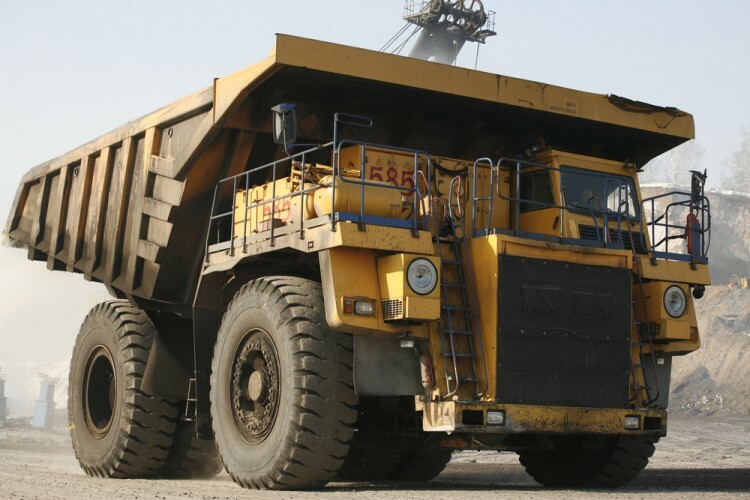 How are hedge funds trading B2Gold Corp (NYSEMKT:BTG)? Heading into the fourth quarter of 2016, a total of 12 of the hedge funds tracked by Insider Monkey were bullish on this stock, a change of 9% from the second quarter of 2016. Below, you can check out the change in hedge fund sentiment towards BTG over the last 5 quarters. So, let’s see which hedge funds were among the top holders of the stock and which hedge funds were making big moves. Of the funds tracked by Insider Monkey, Sprott Asset Management, led by Eric Sprott, holds the biggest position in B2Gold Corp (NYSEMKT:BTG). Sprott Asset Management has a $25.1 million position in the stock, comprising 0.9% of its 13F portfolio. The second largest stake is held by Jim Simons of Renaissance Technologies, one of the largest hedge funds in the world with a $22.7 million position; the fund has less than 0.1%% of its 13F portfolio invested in the stock. Some other professional money managers that hold long positions include Israel Englander’s Millennium Management, Peter Rathjens, Bruce Clarke and John Campbell’s Arrowstreet Capital and Ray Dalio’s Bridgewater Associates. We should note that two of these hedge funds (Sprott Asset Management and Bridgewater Associates) are among our list of the 100 best performing hedge funds which is based on the performance of their 13F long positions in non-microcap stocks. Is It Time to Buy Ultra Clean Holdings Inc (UCTT)? Smart Money Thinks So. Helen of Troy Limited (HELE): 73% Surge in Smart Money Ownership; What’... Should You Get Out of UniFirst Corp (UNF) Now? Hedge Funds Are. Vince Holding Corp (VNCE): Hedge Funds Keep Heading Elsewhere Is Cabot Corp (CBT) A Good Stock to Buy? Is Vitamin Shoppe Inc (VSI) Going to Burn These Hedge Funds?